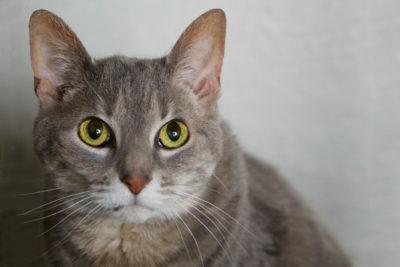 Sacha likes petting on her terms, too much and she may give you a quick head turn to show she has had enough. And while she may flop on her side to show you her cute little belly, don’t be fooled–it’s definitely a “look, don’t touch” area! Sacha loves interactive wand toys and if you speak “cat”, you will soon learn her preferences. This saucy silver gal will definitely keep you on your toes. 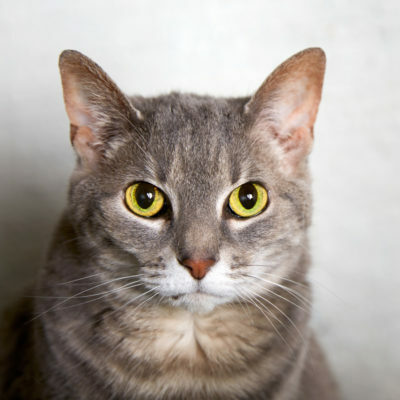 Sacha likes to be the center of attention, and would prefer not to share the spotlight–she’d love to be your one and only!